The two leading voices in the missional church urge pastors and ministry leaders to risk it all in order to live out an adventurous relationship with Jesus. As Helen Keller observed, "Security is mostly a superstition. It does not exist in nature, nor do the children of men as a whole experience it. Avoiding danger is no safer in the long run than outright exposure. Life is either a daring adventure or nothing." To Michael Frost and Alan Hirsch, so much of how we have learned to experience and understand the faith has been divorced from the overarching adventure inherent in our God and in our calling. The Faith of Leap is a corrective to the dull, adventureless, risk-free phenomenon that describes so much of contemporary Christianity. 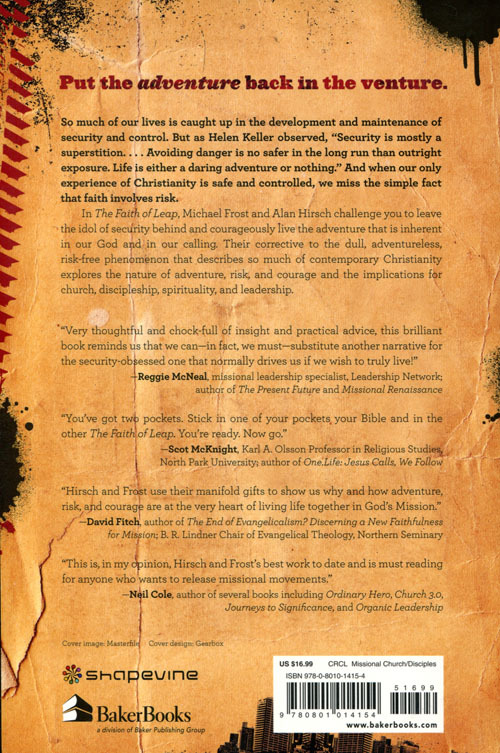 It explores the nature of adventure, risk, and courage and the implications for church, discipleship, spirituality, and leadership. 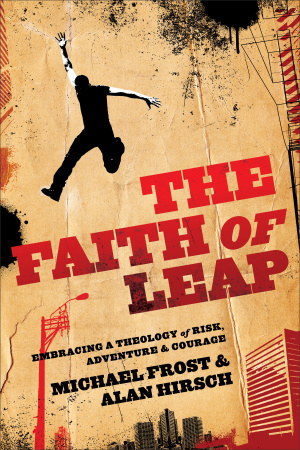 The Faith of Leap by Alan Hirsch; Michael Frost was published by Baker in April 2011 and is our 18839th best seller. The ISBN for The Faith of Leap is 9780801014154. Be the first to review The Faith of Leap! Got a question? No problem! Just click here to ask us about The Faith of Leap.